The season has official started. 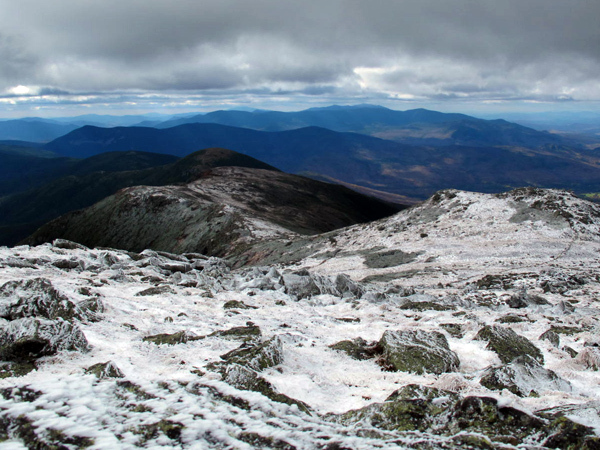 Many of the early season classics received ascents over the weekend. Not bad for October! https://www.neice.com/wp-content/uploads/2011/10/GameOn-KI.jpg 368 480 NEice Admin https://www.neice.com/wp-content/uploads/2017/10/2012_NEice_logo_oval_blk6-1024x350-300x103.png NEice Admin2011-10-29 14:37:392018-03-09 01:01:14Game On! An October day in the Alpine with friends. Life is Good! 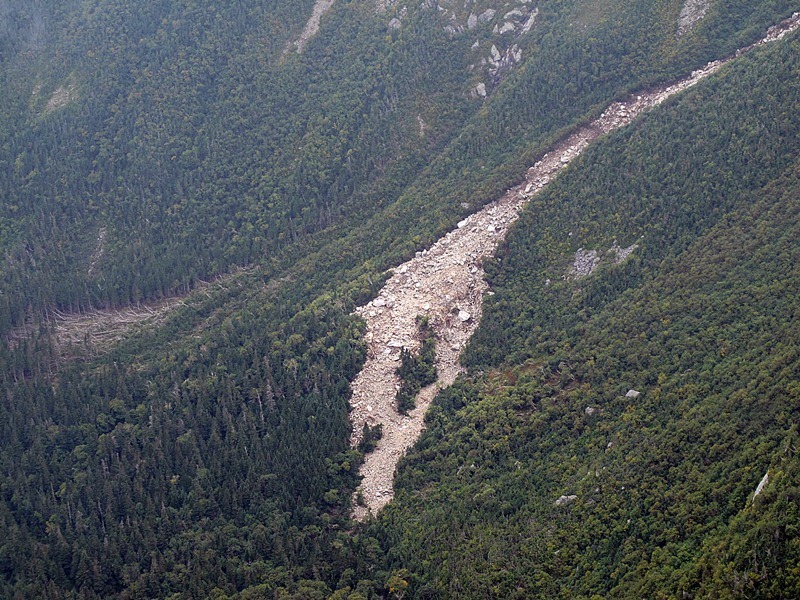 The Tuckerman Ravine region was hit particularly hard during Irene. 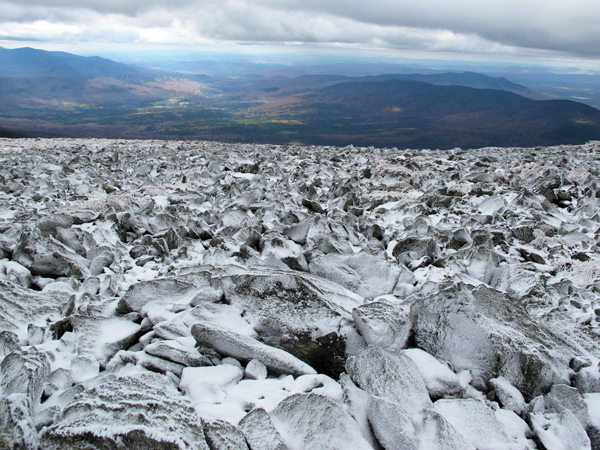 Due to all the hurricane damage this season, Friends of Tuckerman Ravine (FOTR) and the White Mountain National Forest reached out for help, and NEice and many others were there to lend a helping hand. 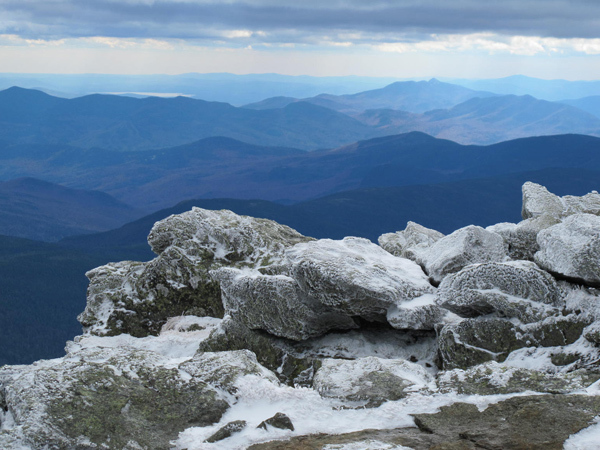 We moved an estimated 7 tons of rock to rebuild the third bridge on the Tuckerman trail. This was no easy task given the cold, rainy weather, but the spirits were high and the work went quickly. 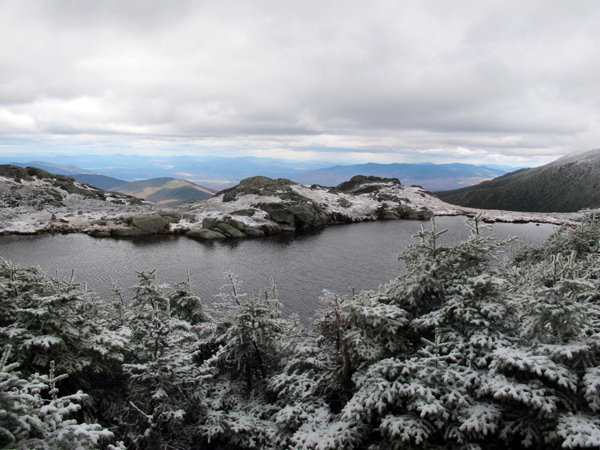 Please join the Friends of Tuckerman Ravine for the 2nd Annual Tucks Dinner and help fund their efforts. Awards Banquet and Live/Silent Auction. November 5, 2011. 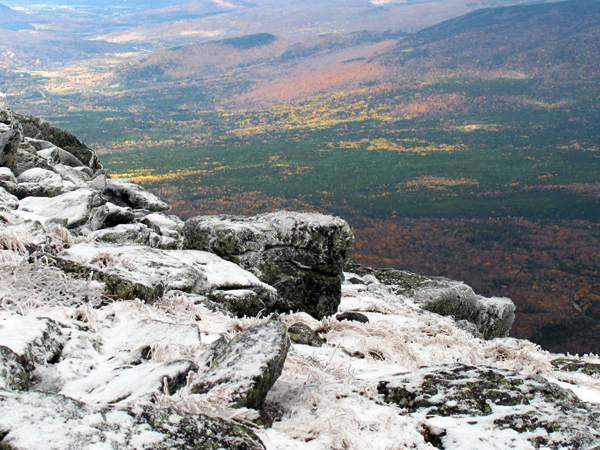 Some of the world’s best alpinists seem to come from the Northeast – especially New Hampshire. If you’ve hung out at the Mt. Washington Ice Festival, you know there’s a great bunch of climbers there. 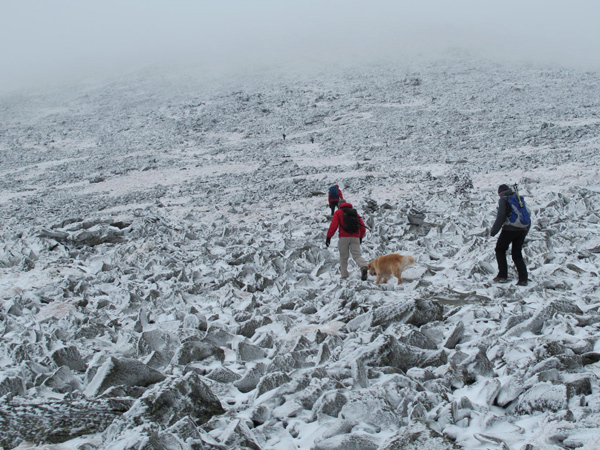 More importantly, you’ll find a camaraderie among them that encompasses anyone who puts on a pair of rock shoes or crampons. 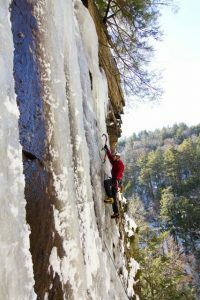 While ice climbing, you can run into the hardest climbers and guides in the area, and an elitist attitude is as tough to find as ice in July. Friendly, enthusiastic, and psyched to climb, Freddie Wilkinson embodies a rare combination of camaraderie, humility, and absolute mastery of his craft. We recently caught up with Freddie, who just returned from a 2-month trip to the mountains of India. 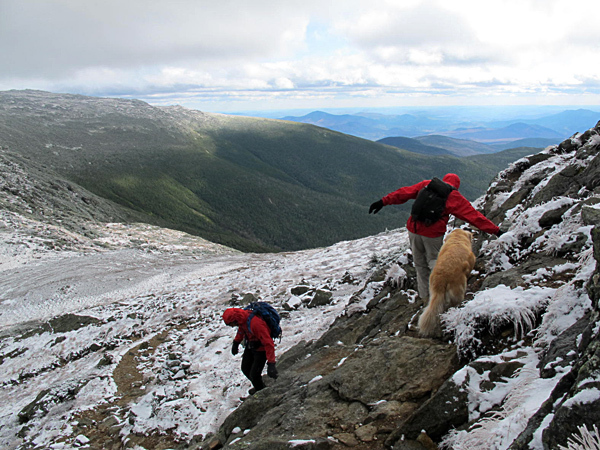 You live and climb a lot in New Hampshire, would you say that given you an edge in the bigger mountains? Yes. Definitely. 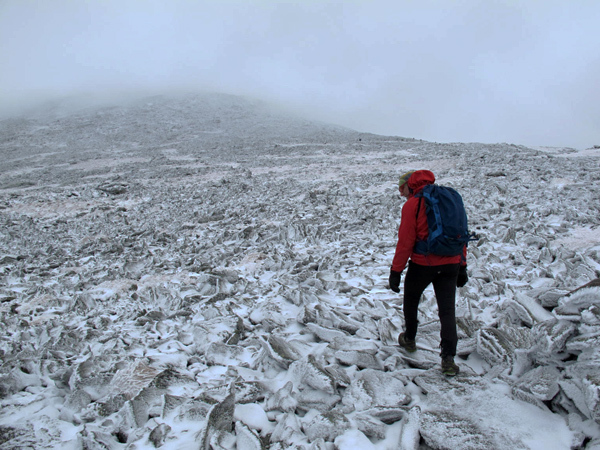 New England weather and conditions pack a punch, and the more practiced and comfortable you are dealing with those conditions, the more comfortable you will be in the big mountains. Dealing with shite conditions is a skill set that must be learned, like anything else. How did you meet up with Ueli? I originally joined the expedition as a producer/rigger, to make a movie about Ueli for Sender films with Rob Frost. Then, just before the trip began, Ueli’s original partner backed out, and he suggested we team up instead. I had, like, two weeks to train before going climbing with a guy whose nickname is ‘the Swiss Machine’. Your ascent with Ueli was impressive in many ways. 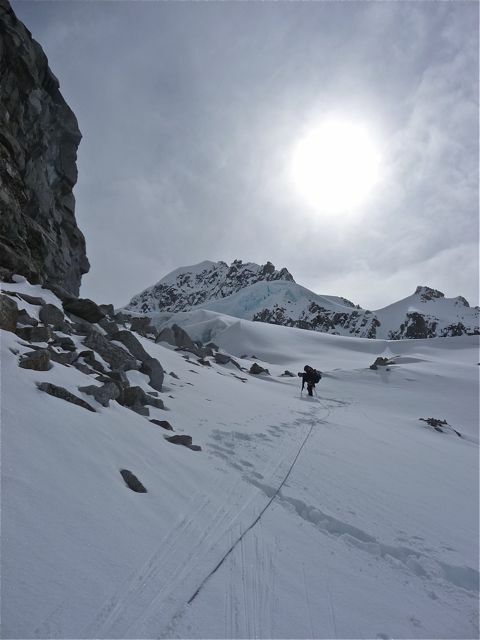 The route on the north face of Cholatse looks incredible, what was it like? 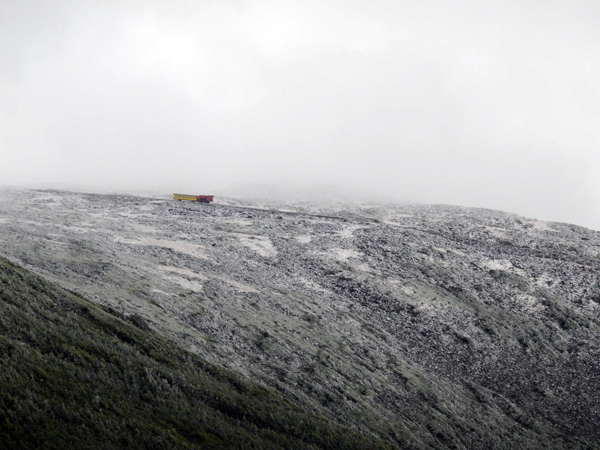 Cholatse is, without a doubt, one of the great alpine mountains in the world. This was actually my second time summiting the peak, and Ueli’s third. It’s North face, which we climbed this spring, is an all-time classic ice route, similar in quality to the Moonflower Buttress or the Super Couloir. And, like Mount Hunter in Alaska and Fitzroy in South America, it’s just one of those peaks you want to climb again and again. 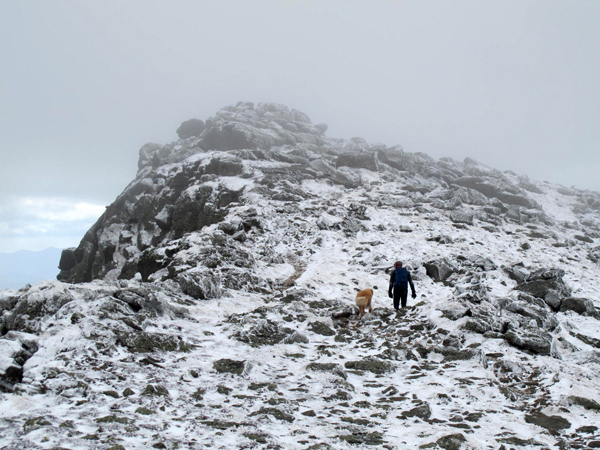 What was the best thing you’d say you have gained from that climb? Well, it was pretty cool to see Ueli up close in action. As a journalist, I was curious about what makes him tick. As a climber, I was interested in finding out what it takes to perform at his level. 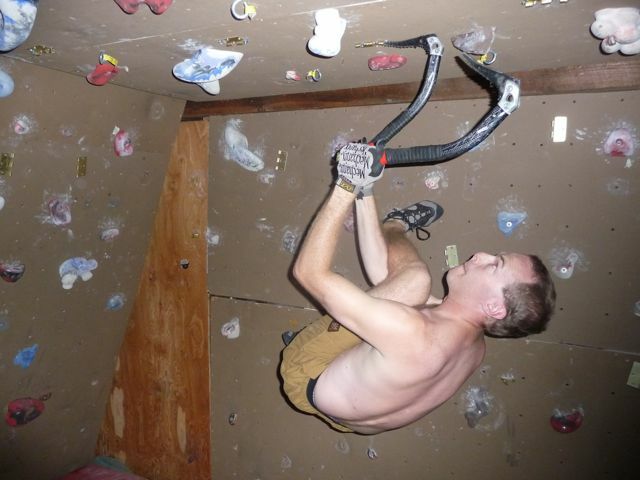 What advice do you have for other climbers? Climb for no other reason then that it makes you happy. Mac and cheese, or hashbrowns, but you need a good fry-bake skillet with a lid to do it really well. Do you just climb and stay active in other pursuits or do you do anything specific to stay in shape? I love to train, but I travel too much to be serious about plotting long-term training cycles. At home I regularly trail run, do fingerboard workouts, iso-metric circuits, core workouts, and occasional yoga. It’s actually pretty easy for me to over-train, and balancing power training and endurance training is a challenge. 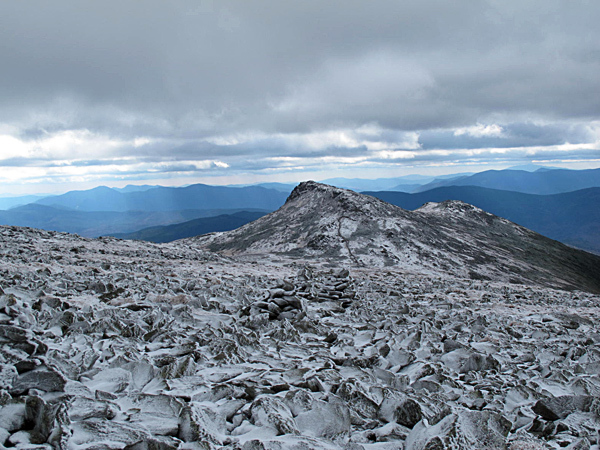 If I am trail running 50 – 60 miles a week, as I did preparing for my summer expedition to the Karakoram, it’s virtually impossible for me to rock climb at my limit. The power is not there. I like to think of myself as a climbing decathlete. 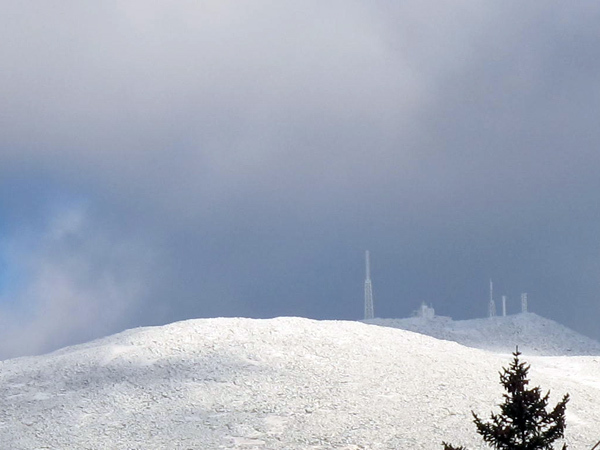 What’s the best thing about living in New England? The year-around climbing is really, really good, and the climbing communities are close-knit and welcoming. Do you have a favorite ice climb in the Northeast? 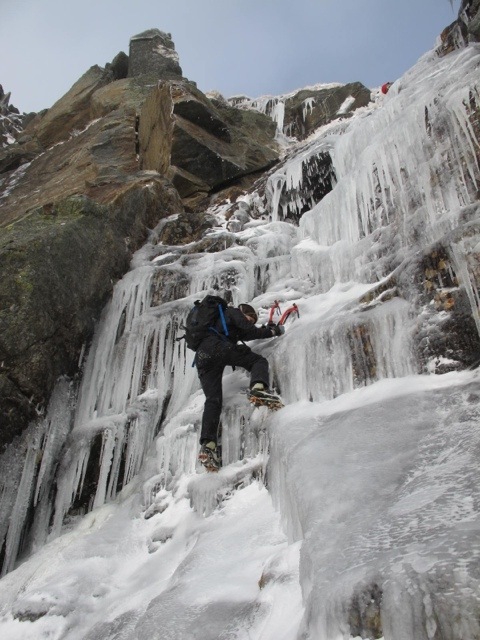 There are so many unique and classic ice climbs here! 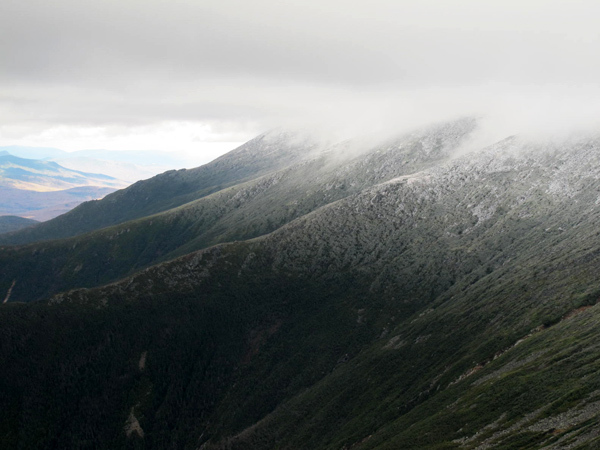 But, one that sticks out that doesn’t get a lot of attention is Love Diet in Evan’s Notch. It’s got a long ski approach and feels really remote. Bayard Russell and I climbed it a couple of years ago, and it is still in my mind as a really fun, memorable adventure. Probably the Moonflower Buttress and the North Face of Cholatse. You just published your first book, how did that come about? There was a terrible accident on K2 in 2008, in which eleven people perished. I wasn’t there, but I investigated and wrote about what happened for Rock and Ice magazine. There were a lot of inconsistencies in the initial stories told by some of the survivors, and I figured out that they key witnesses to unraveling what happened were the climbing Sherpas who were there. I found them in Nepal, and tried to write their stories as best I could. One Mountain Thousand Summits is the result. Any other big plans, climbing, writing, otherwise? Ueli and I are hoping to go back to the Himalaya next year. I also want to write another climbing book, something about Yosemite Valley. Yosemite is the great story in American climbing, in my opinion. You live in a nice little cabin with Janet. Can you talk about that some? Did you design and build it yourselves? We bought a chunk of land and built the ‘Shabin’ four years ago. It has electricity and internet, but no running water. A little primitive, but we love the flexibility and time outdoors it affords us. Saser Kangri II Mark Richey, Steve Swenson, and Freddie Wilkinson have climbed the east peak of Saser Kangri II in the Eastern Karakoram mountains of India’s Kashmir region. This was believed to be the second-highest unclimbed peak in the world.